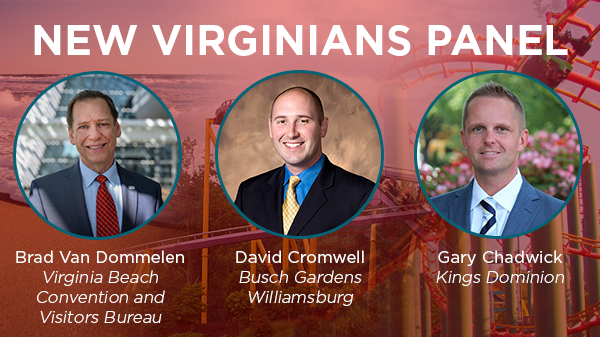 As many of you know, several of Virginia’s largest attractions and destinations have brought in new leadership over the last year. Now’s your chance to meet the ‘New Virginians’. The 2016 VA-1 Tourism Summit has gathered three of the newest Virginians for a great panel to discuss what they have seen thus far and their thoughts and ideas for moving Virginia ahead.